Owen/Cox Dance Group, photo by Jim Barcus. 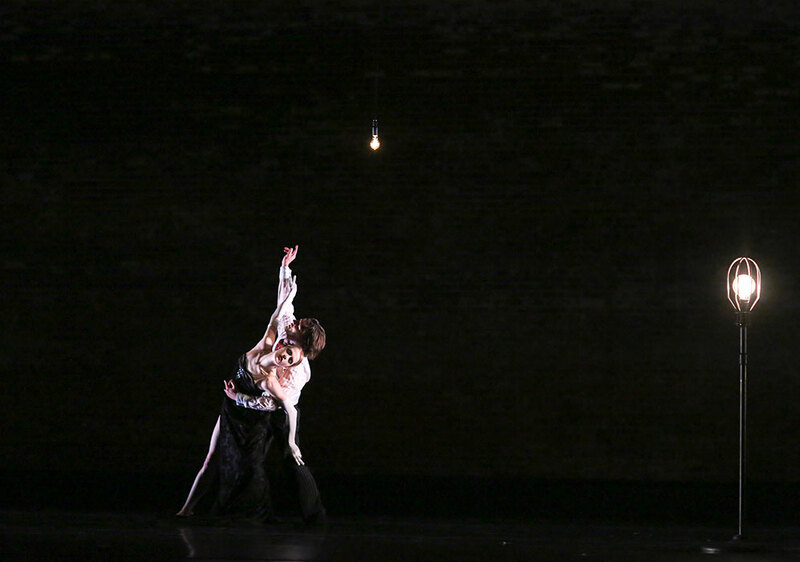 Rachel Coats performs with Logan Pachciarz in this dress rehearsal shot of Ghost Light. Photo by Jim Barcus. 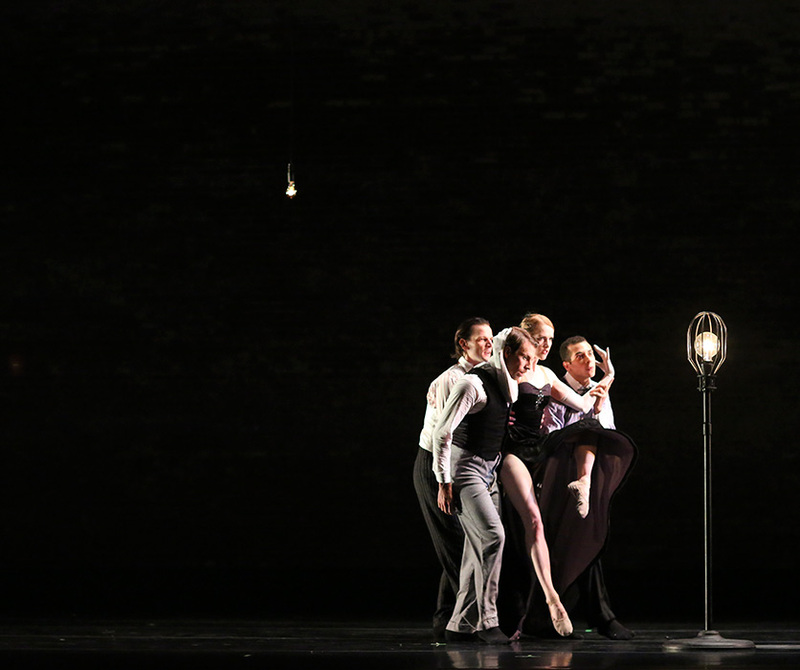 Over the summer, the Owen Cox Dance Group performed Ghost Light during a dress rehearsal for the 3rd annual Kansas City Dance Festival at the Folly Theater. From left to right, Logan Pachciarz, Charles Martin, Rachel Coats and Michael Davis. Photo by Jim Barcus. 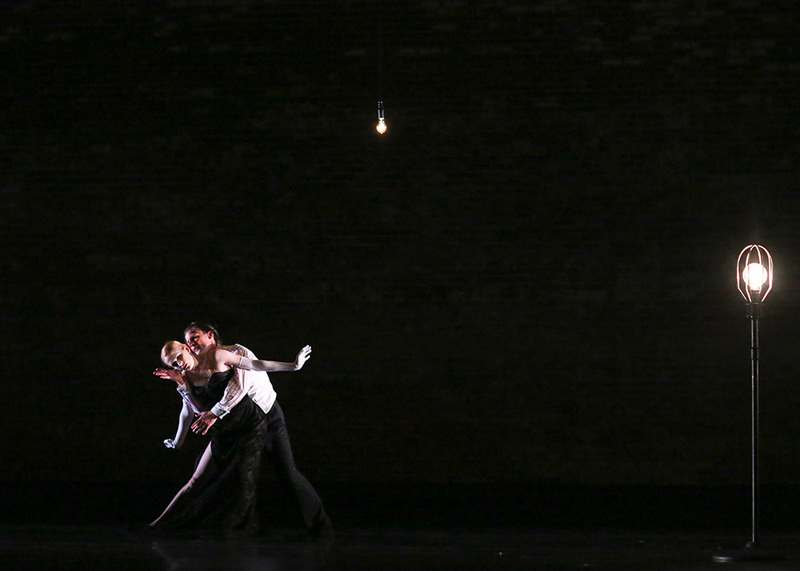 This Dance Festival rehearsal shot shows Jennifer Owen and Michael Davis performing De Memoire de Rose. Photo by Jim Barcus. Owen/Cox is known for its intriguing blend of classical and contemporary influences. This multiple exposure photo captures Owen and Davis performing De Memoire de Rose. Photo by Jim Barcus. The critically acclaimed Owen/Cox Dance Group teams up with leading choreographer Kate Skarpetowska in fall performance at JCCC. Kansas City’s Owen/Cox Dance Group brings to the stage an intriguing blend of classical and contemporary influences. But perhaps more importantly, the company pursues that approach while striking a balance between profundity and fun. This fall, the critically-acclaimed company will once again appear as part of the “New Dance Partners” series at Johnson County Community College, and it’s a win-win for both. The annual program presents new works by nationally-known choreographers. As it has in the past, Owen/Cox will share Yardley Hall with KC’s highly respected Wylliams/Henry Contemporary Dance Company. Also performing in the third edition of “New Dance Partners” in late September will be the Oklahoma City Ballet. “New Dance Partners” is inspired by “New Dance Horizons,” an annual showcase presented by Dance St. Louis in the Blanche M. Touhill Performing Arts Center at the University of Missouri-St. Louis. Emily Behrmann, general manager of the performing arts series at JCCC, said that “New Dance Partners” has “kind of the same framework as the St. Louis event in that we commission work for local dance companies. 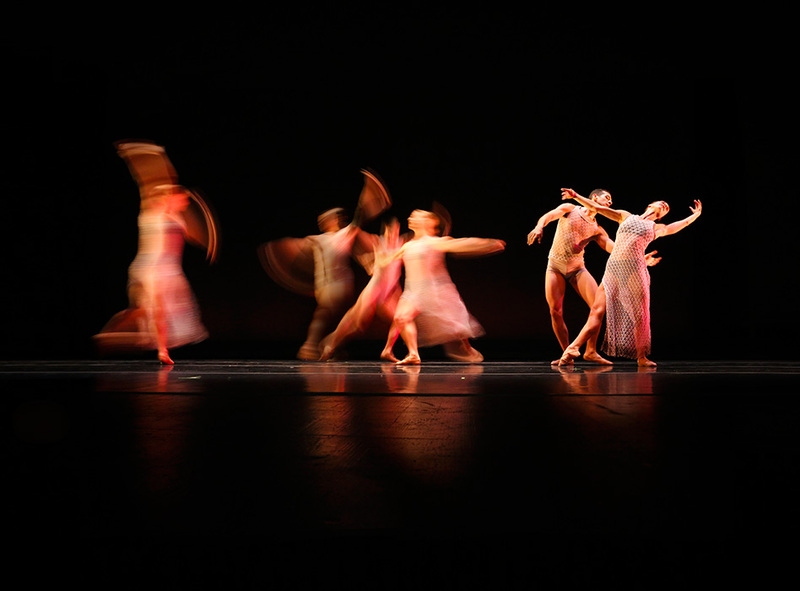 The first edition of the dance series took place in 2013, showcasing Owens/Cox, Wylliams/Henry and the Kansas City Ballet. The three companies returned last year. But when the Kansas City Ballet was not available this time around, the net was cast wider to include the Oklahoma City Ballet. The latest edition of “New Dance Partners” will feature work by Kate Skarpetowska (created for Owen/Cox), Gregory Dawson (for Wylliams/Henry) and Brian Enos (for Oklahoma City Ballet). Owen said she welcomes the opportunity for her company to work with some of the most respected and imaginative choreographers on the dance scene. and his by St. Louis Ballet. Enos has since become artistic director of the Big Muddy. Behrmann said she expects the collaboration between Owen/Cox and Skarpetowska which was still in the early stages of development at press time to be delightful. Overland Park. Tickets cost $25; $13 for youth under 18. For more information, 913-469-4445 or jccc.edu/TheSeries. For season schedule, visit owencoxdance.org.